Courtesy of Michael E Bridges, Long & Foster Real Estate, Inc.. Welcome to the private, lake front, 24 hour gated communitty of Stone Lake. This community features a boat house,with pier, and a sandy beach. There are lake privages for fishing, and non -motorize boating. Great biking and jogging trails. There are two tennis courts and a large todd play area. This. 2 car garage end unit tonhome, features 2 decks and a lower level patio. There are two gas fire places. The main level has cherry wood hardwood floor through out. The Gourmet Kitchen is a chef`s dream, cherry cabinets, granite counters, upgraded stainless steel appliances, and a super large island great for large family gatherings. Off the kitchen is the family room with fireplace, and french doors that lead to a large deck great for grilling,and parties. The main level has 10` foot ceilings, and extra large windows,which flood the home with natural light. There is upgraded moldings, a central vac ( as -is ) a intercom system, and upgrade fixtures through out home. The large master suite has extra lighting, large walkin closet, and french doors which lead to your private deck, great for enjoying your morning coffee. The on suite luxury spa bath features double sinks, jetted jacuzzi soaking tub, and large walk-in shower. The walk-out lower level features french doors which leads to a large concrete patio. There is a large family room with built-in suround sound outlets, fireplace a bedroom and full bath. This home is amazing with to many upgrades to be mention. 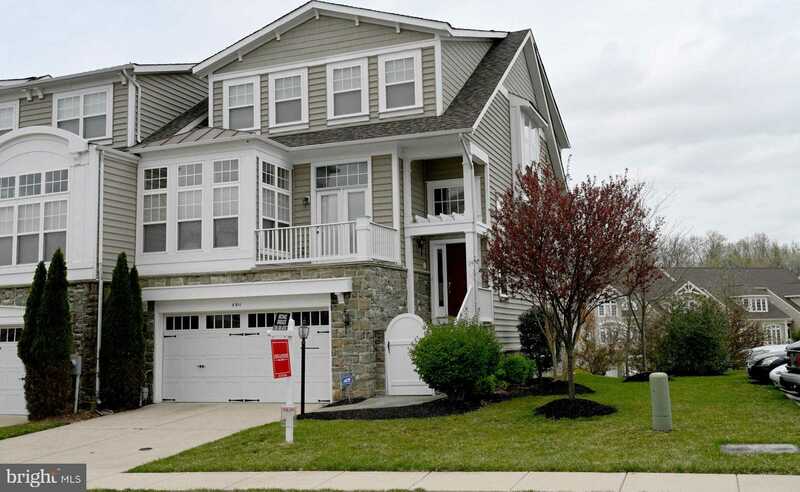 Please, send me more information on this property: MLS# MDHW261010 – $585,000 – 8611 Misty Waters Way, Laurel, MD 20723. I would like to schedule a showing appointment for this property: MLS# MDHW261010 – $585,000 – 8611 Misty Waters Way, Laurel, MD 20723.